Upheaval In Romania : Moscow Pledges Aid but Rejects Troop Request : Soviet Union: Gorbachev says Romania’s new government can expect humanitarian help from the Warsaw Pact. 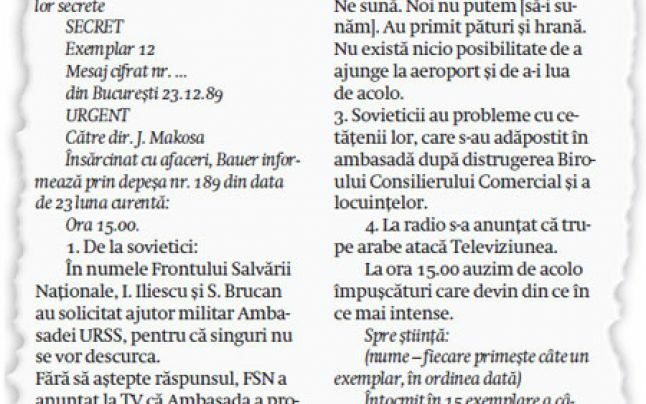 MOSCOW — The Soviet Union, affirming its support for the popular uprising that overthrew Romanian President Nicolae Ceausescu, pledged Saturday to provide “immediate and effective humanitarian aid” to the country but drew the line at military assistance…. Gorbachev told the deputies that the Kremlin had considered a request for military assistance by leaders of the Front of National Salvation, the provisional government established by former Communist Party and government officials, military commanders and intellectuals in Bucharest. But he said Moscow had decided against sending in forces as the fighting appeared to abate…. Gorbachev said the request for military assistance had come overnight when Romanian army units, apparently loyal to Ceausescu, “turned against the people” and were threatening to retake strategic positions in Bucharest–including the Communist Party’s headquarters, where the provisional government’s leaders were meeting. 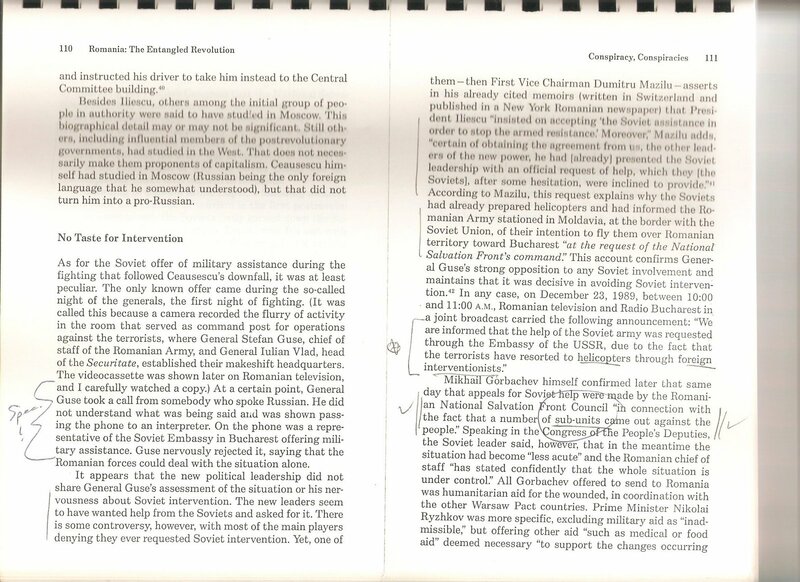 But the loyalists’ counterattack was “suppressed,” Gorbachev said, when more troops were brought in…. de a-i lua de acolo. La ora 15.00 auzim de acolo împuşcături care devin din ce în ce mai intense. Întocmit în 15 exemplare a câte o pagină. This entry was posted on May 10, 2014 at 6:55 pm	and is filed under decembrie 1989, raport final. Tagged: Adam Burakowski, Gorbachev December 1989, ion iliescu, Michael Parks LA Times, Nestor Ratesh, Request for Soviet military assistance, romanian revolution of december 1989, Silviu Brucan, Soviet role in Romania in December 1989, The Entangled Revolution. You can follow any responses to this entry through the RSS 2.0 feed. You can leave a response, or trackback from your own site.